Listening is essential for any guitarist. Lead guitar players need to listen to chord changes in order for them to establish the key that the music is being played in. They also need to understand how to listen to songs and how to interpret guitar parts. Listening to your favorite albums or songs is a good exercise for lead guitarists. Repetition is key. In order to learn lead guitar, one must repeat scales and chord patterns across the fretboard. Everyday when I practice I play pentatonic scales. I have been playing pentatonic scales since i first learned the guitar. Repeating scales helps your fingers to hit each note quickly and accurately. If you are not willing to repeat the patterns that you learn on the guitar,don’t even bother learning the instrument. Consistent repetition is crucial to learn lead guitar. If you want to be a master guitar player,you must continue learning theory and techniques. For example, There exists a few different scale systems. Each system is important to know in order to master the guitar. 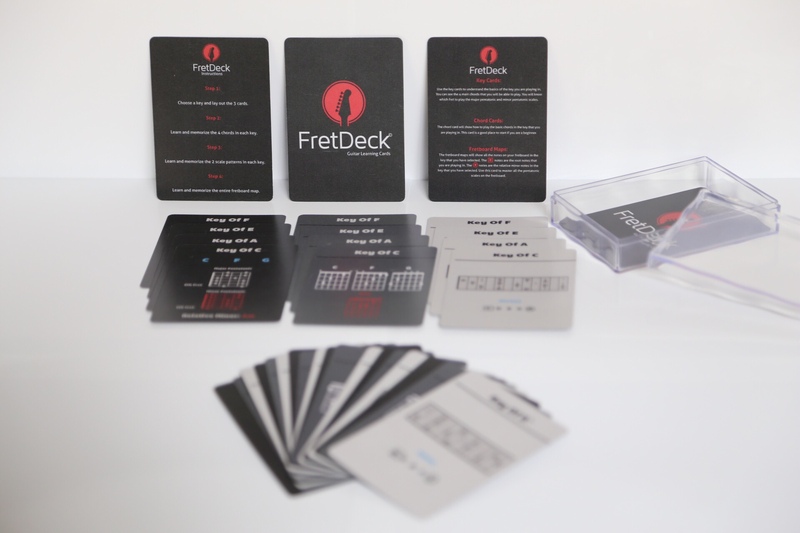 The FretDeck teaches guitar players how to master the Pentatonic scale system. The next scale sytems are; Major,Harmonic minor and Jazz melodic minor. Each of these systems come with their own set of chord types and modes. Continue to learn new music theory concepts and you will be able to learn lead guitar from Jazz to Rock to Blues guitar.